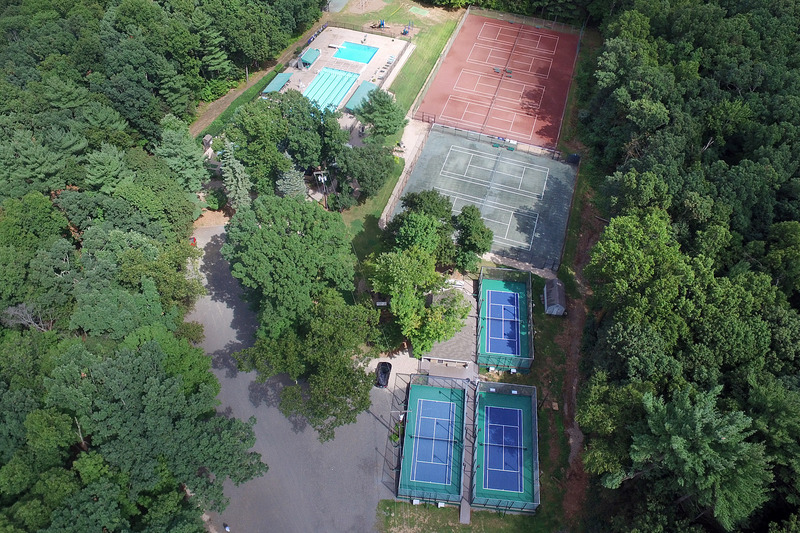 The Farmington Field Club offers three pools to its members and their guests. Toddlers and young children enjoy a circular wading pool. The enclosed area also include swings, a plastic climber, and water toys to keep even the most active tot occupied. The center attraction of the pool area is a six-lane, 25-meter pool, ranging in depth from 3 to 5 feet. One lane is always reserved for lap swimming, and the rest of the pool is available for recreational use. 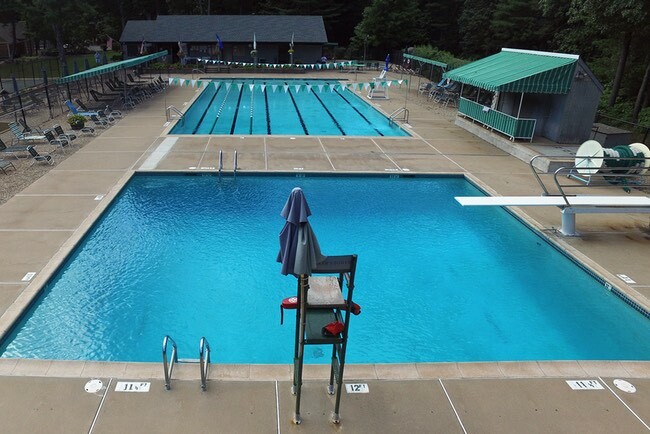 The separate diving pool is perfect for practicing dives and playing supervised games. The pool area offers large awnings with lounge chairs underneath, for those who prefer shade from the sun. The dedicated staff of lifeguards on duty ensure the safety of all swimmers. Swimming and diving lessons are available for all ages from "Moms & Tots" to life-saving courses. Youth swim and dive teams provide competitive fun in a relaxed atmosphere. Dressing rooms and showers are conveniently located adjacent to the pool area. 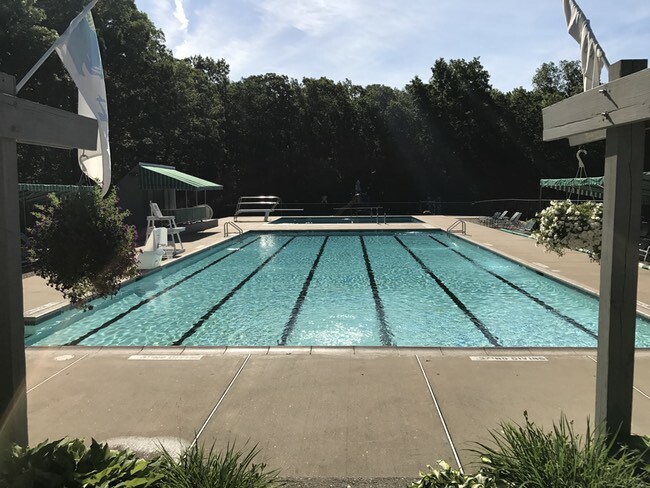 The pool is open Memorial Day through Labor Day, with additional hours through mid-September, weather permitting. The wading pool was created and designed for children under six years of age. It is a circular shaped pool, 8 feet in diameter and 1 1/2 feet deep. Within the fenced in area, there is a small swing set and playgscape for children. Chairs and lounge chairs are also there for your convenience. Important Note: Although the wading pool is surrounded by a gated fence, we ask that parents supervise their children. The wading pool is not guarded by our lifeguard staff.